HPC Systems account for a quarter of all server sales at Dell EMC. Long gone are the days when High Performance Computing clusters lived mainly in the labs of academia and government. 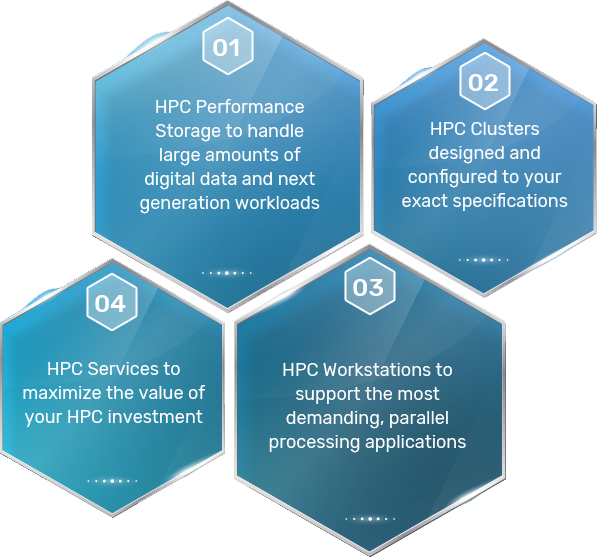 High Performance Computing is everywhere, and the future will bring much more of the same as the democratization of HPC continues. Is Innovation a strategic enabler of success? High Performance Computing is widely used in commercial, industrial and consumer applications. It’s at the heart of endeavors as varied as product design, financial analytics, personalized medicine, marketing automation, fraud detection and autonomous vehicles. Embee can help you stay competitive by implementing an optimized HPC solution that you can use to innovate, test and validate in a fast and cost-effective manner as well as handle massive flows of data in an increasingly digital world. Are you an institute working on cutting edge research? 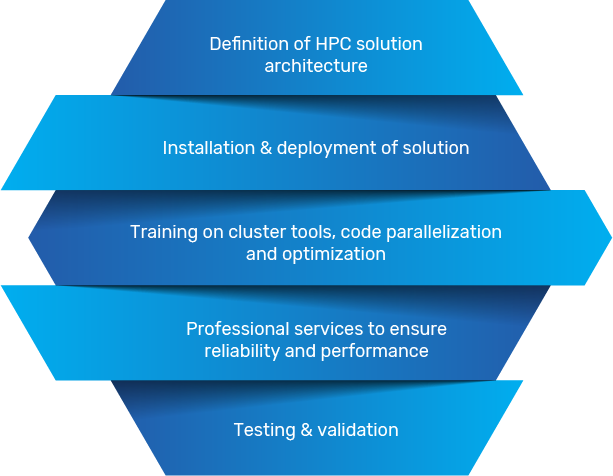 Having access to well designed, scalable and robust HPC solution can help reduce the time and expense of designing, optimizing and characterizing complex systems. Embee has partnered with some of the leading educational and government research organizations to implement turn-key high performance computing clusters and solutions for a variety of challenging projects. We engaged Embee Software to setup our HPC infrastructure for research work. Embee team executed the agreed scope with high professionalism and as per industry best practices. I am happy to recommend Embee Software for similar projects. Embee is a leading system integrator with capability to design, implement and manage a HPC setup.